This book could have been awful. It could have been written in a way that’s cliché, embarrassing to read, and featured characters that are beautiful for no reason and everyone loves them for little reason – a few things a lot of readers are getting sick of under the influx of paranormal romance titles. Instead, this book is wonderful. This book is for everyone who’s become scathing and disillusioned by YA – prepare to be pleasantly surprised. 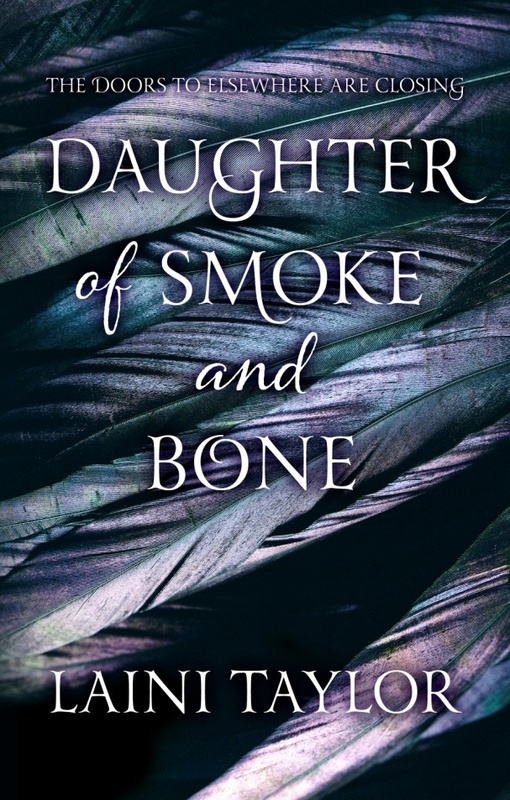 Daughter of Smoke and Bone tells of a girl called Karou who lives a double life, sometimes in Prague, sometimes suddenly anywhere else in the world if her guardians so wish it – within minutes she could be in Saigon or Canada, San Francisco or Paris. This is because she runs errands for the creature who raised her, Brimstone; a hulking beast who has horns and a tail and a very deep voice – a chimera. He’s a wishmonger who takes payment in teeth (usually what Karou has to collect) and deals mostly with poachers and grave robbers. To do these errands, Brimstone sends Karou through a portal – he has a door in his store that links to numerous doors spread out all over the world, and it’s only on his command that she can use it. In return, she gets as many tiny and small wishes as she likes. There’s a rank to them, you see. Scuppy, shing, lucknow, gavriela and bruxis. Karou wears a necklace of scuppies and shings and can wish for a multitude of ‘small’ things – itches to those she wants to annoy, for people to move from her favourite place to sit, and for someone’s eyebrows to get bushy and horrid. When she isn’t running errands, Karou is an ordinary 17-year-old blue-haired girl. She’s an art student – most of her artwork featuring her monstrous family, all of whom have some human physical characteristics, but then mostly have some kind of animal – may it be a snake’s tail, giraffe’s neck, or feathers. Karou’s, main trouble in her normal life is finishing her art school homework on time and being bothered by her ex-boyfriend, but her tiny yet fiery friend called Zuzana makes those things easy to cope with. This is until it becomes clear that someone is marking the portal doors. And then someone starts following her. And then… well, you’ll just have to read to find out. It’s hard to find any faults in this book. The start may be a little slow, but I found it to be comforting. The city of Prague is introduced carefully, showing its eccentricities and describing the landscape, and slowly the plot winds around you tighter and tighter until you’re unable to put the book down and you’re devouring the backstory, which is so cleverly revealed you hardly notice it’s slipping back to the past between sections of the present. The history in this book is in-depth – a clever mix of making you wish there was a whole series about it alone, yet also revealing so much eloquently that you don’t feel like we’re lacking knowledge. Taylor cleverly limits the reveals to what Karou alone knows and sees, so we’re left wondering the exact same thing as she is. One can assume what’s going to happen next, but at each and every turn we’re tricked by our own assumptions as the plot instead takes a new path. Yes, this is a book of angels and demons, features impossibly beautiful characters, finding true love you’ve lost, and the main character has a complicated childhood and doesn’t know who her family is… mostly clichés and well over-done in this new surge of paranormal romance, and yet, this book is utterly unique. One could say it’s similar to the work of Guillermo Del Toro with a hint of Neil Gaiman but only in the tone and beauty. The book has interesting chapter titles – something I always love – and divided into parts with a hint (of what’s to come) of a quote – “One upon a time, an angel and a devil fell in love. It did not end well.”, for example. Quite honestly? This didn’t read like YA to me. It certainly is written in a way that those 12 and above could read and enjoy it, but at no stage did I feel like I was reading a book for a market more than half my age. Nothing is ‘dumbed’ down or simplified. It’s simply a beautiful story of hope that anyone could read and enjoy. This review was originally posted at SentientOnline on the 30th September 2011.